The £60,000 paid for Advertise as a yearling was an excellent bit of business. He was hard to fault in five starts as a two-year-old, when his only defeats being inflicted by two other crack juveniles in Calyx and Too Darn Hot. More of them later in this series. A debut win over 6f at Newbury, when the fact he was sent off joint-favourite pointed to the fact that he had been pleasing connections at home, was followed by an excellent length second to Calyx in the Coventry Stakes at Royal Ascot – when he was first home among the far side runners. 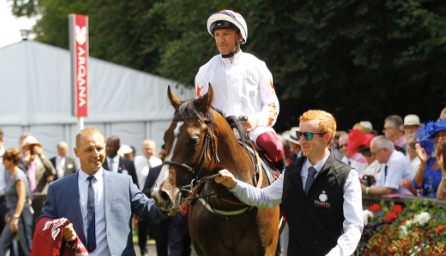 The good-looking son of Showcasing needed only to reproduce that form when landing the Group 2 Arqana July Stakes at Newmarket on his next start, and then a month later, kept to 6f, he took the Group 1 Keeneland Phoenix Stakes at the Curragh. Both those victories were achieved under Frankie Dettori. Advertise then spent two months recharging his batteries before taking his chance in a red-hot renewal of the Darley Dewhurst Stakes. Sent off at 7/1, he led briefly a furlong out but was unable to resist the unbeaten Too Darn Hot, the favourite, who pulled two and three-quarters clear of him. His pedigree suggests a mile will be the very limit of his stamina. Should he fail to stay, then he could always revert to 6f. He is a general 20/1 for the Commonwealth Cup at Royal Ascot.